Jeff Estes, a Colorado native, moved to Nashville in 2010 to pursue a career in music. As a hobby with two workbenches and a handful of tools, he began building skateboards and furniture in his backyard for stress relief. Soon he realized that he found more joy in the craft of woodworking than music. Joining a local maker space, Jeff quickly befriended many of Nashville’s talented craftsmen and soon began collaborating with them on larger projects. It wasn’t long before 5 String Furniture was born. Taking full ownership in 2014, Jeff and his team have worked on well-known establishments all over Tennessee without losing site of their humble beginning. Please watch our video series dedicated to the mavericks and originals of design and manufacturing! Vivian Beer is a furniture designer/maker based in New England. Her sleek, abstracted metal and concrete furniture combines contemporary design, craft, and sculpture creating objects that alter expectations of and interface with our domestic landscape. Her work is in the collections of the Smithsonian American Art Museum, MFA Boston, Brooklyn Museum, Museum of Arts and Design and the cities of Portland ME, Cambridge MA and Arlington VA. She holds a Master’s degree in Metalsmithing from Cranbrook Academy of Art, has held many residencies including Penland School, Museum of Glass, the Smithsonian Air and Space Museum and was recently named a 2017 USA fellow. Located in Flowery Branch, Georgia, Eagle Ranch's 310-acre rural campus includes 10 homes for nearly 70 boys and girls. JET Masters is a bimonthly web series focusing on the amazing stories from talented craftsmen and organizations from a broad range of industries. 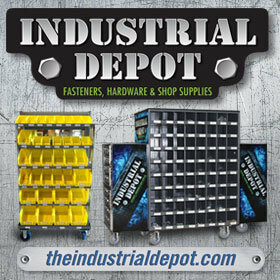 The show will follow a varied group of relatable machinists, metalworkers, fabricators, woodworkers, and specialized artisans as they share their individual stories of pursuing their dreams. 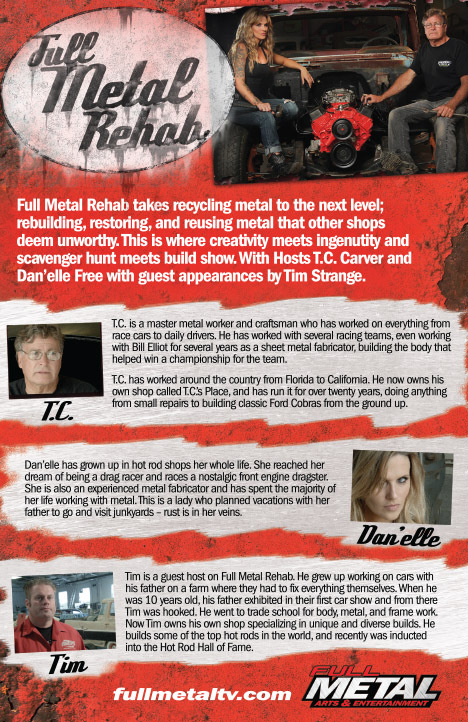 Full Metal Rehab takes recycling metal to the next level; rebuilding, restoring, and reusing metal that other shops deem unworthy. This is where creativity meets ingenuity and scavenger hunt meets build show. Featuring hosts T.C. Carver, custom hot rod specialist, and Dan'elle Free, experienced metal fabricator and drag racer.